How to Check PNB Metlife Policy Status? PNB Metlife Insurance is one of the most reputed insurance companies in India. It is known to provide various types of insurance products based on the various needs of its customers. PNB Metlife provides its services to more than 100 million customers all over the globe and has more than 1,000 financial advisors through its agency sales. The insurance company over a period of time has understood the power of the internet and how it can help them not only expand their business but also make it easy for their customers to take care of their policies. 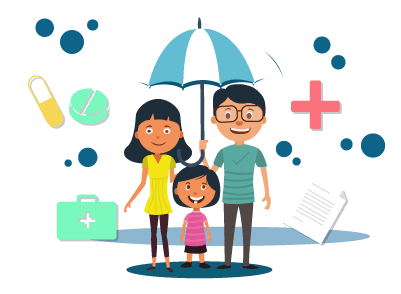 If you are a customer of PNB Metlife Insurance Company, you can check the status of your policy from the comfort of your home. You do not have to stand in queues or worry about heavy paperwork to know the status of your policy. All you have to do is visit the insurance company’s official website and log in to the portal to know about your policy status. Visit the official website of the PNB Metlife Insurance company. On the right-hand side of the page you will find ‘Customer Login’. Click on it. You will be directed to a separate page where you will have to enter your login ID and password and click on ‘Submit’. You will be directed to a separate page, where you will have to click on ‘new user’. A separate registration page will open, where you will have to fill your customer ID, followed by your user name. You will have to then select a security question, followed by an answer to the security question. You will also have to enter your date of birth, policy number, email ID, and mobile number, and then click on ‘Register’. You will then have to create a password and your profile will be created after which you can login to the portal. There can be instances when you may not remember your customer id or password. You don’t have to worry as the process to retrieve your customer ID or password is extremely simple. A separate registration page will open. Click on ‘Forgot Login ID’. A separate page will open. Enter your customer ID and click on ‘Submit’. The details of your Login ID will be sent your registered email ID. A separate registration page will open. Click on ‘Forgot Password’. A separate page will open where you will have to enter your user name, email ID, the security question that you had chosen at the time of registration and the security answer to the question. Click on ‘Submit’. You can then create a new password for yourself and use it to login to your portal. You can call the toll free number 1800-425-6969. You can also call their landline number 91-80- 26502244 between 08:00 a.m. to 08:00 p.m.
You can use the insurance company’s call back facility. You can find this facility on the right-hand side of the page on the official website. All you need to do is enter your name, mobile number, and email ID, the reason why you would like the insurer to call you. You will also have to enter the preferred timing at which you would be available to receive the call, the state in which you reside and the city in which you stay. Then click on ‘Continue’. You can send your queries via mail to the email ID - indiaservice@pnbmetlife.co.in. Under the ‘Contact Us’ section on the official website of the insurance company, you can use the ‘Branch Locator’ facility as well. All the PNB Metlife Branches are open for service from 10:00 a.m. to 03:00 p.m. during Weekdays and 10:00 a.m. to 12:00 p.m. on saturdays. All you need to do is enter the state and the city in which you reside and the area in which you live. The address of the closest branch of PNB MetLife Insurance will be displayed on your screen. You can also use the insurer’s ‘Write to Us’ service under the Contact Us section. Simply select whether you are an existing customer or not. Enter your name, mobile number, Email ID, the reason why you would like the insurer to call you. You will also have to enter your preferred timing at which you would be available to receive the call, the state in which you reside and the city in which you stay. Give a small description regarding your query and click on the box which states that you authorise the insurance company to contact you. Click on ‘Submit’. Under the ‘Customer Login’ section click on ‘Track Application’. Enter your application number and date of birth and click on ‘Track’. You will be able to know the status of your application. In the end, it is extremely easy to know the status of your policy. All you need is a secure internet connection and a smartphone or a laptop and you will be able to check the status of your policy from the comfort of your home and at any time you feel is convenient for you.